And she’s doing everything she can to introduce students of all ages to more science. Have a listen. Special thanks to Whitney Ince, Jill Lepo-Wieniewitz, and the students at Thunderbolt Elementary School. 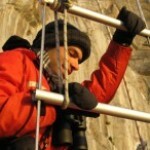 And thanks to WHCJ — the Savannah State radio station — for providing the Marine Science Minutes. 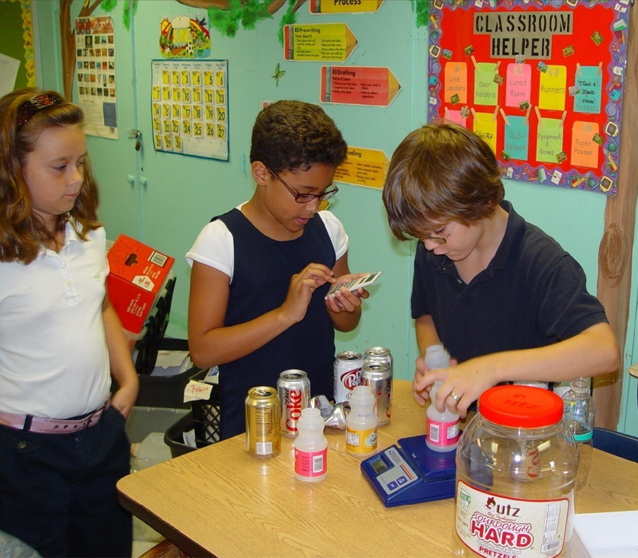 Curran develops lessons that combine information with hands-on observations and experiments. Credit: Whitney Ince. 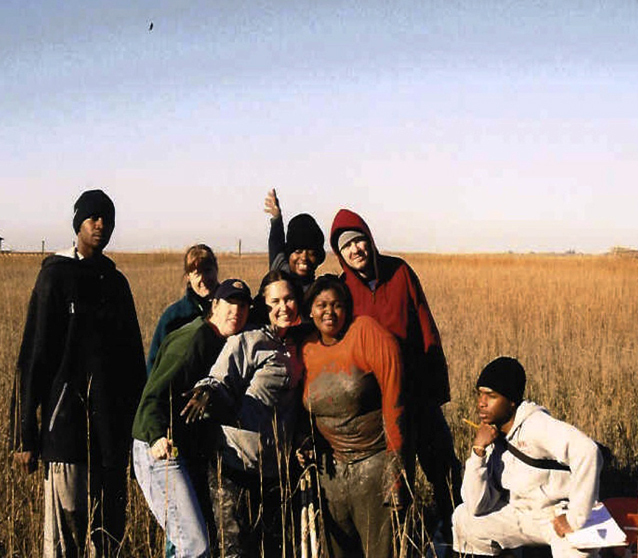 Curran routinely takes her undergrads into the field to gather data and -- occasionally -- fall in the mud. Credit: Carla Curran. 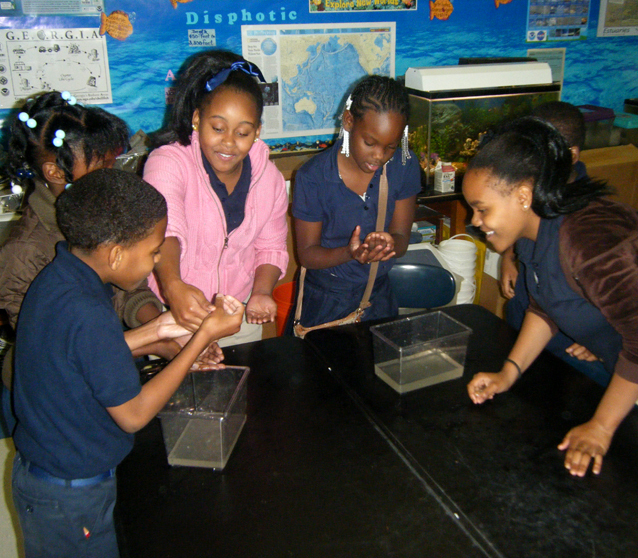 These Thunderbolt fourth graders observe grass shrimp and their associated parasites. Credit: Whitney Ince. 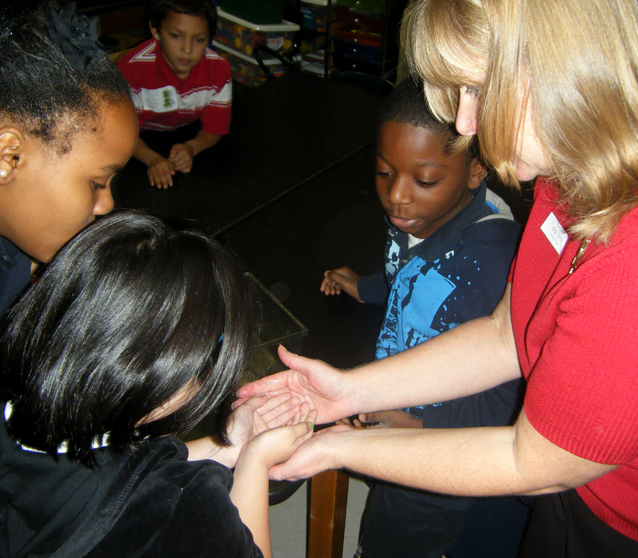 At White Bluff Elementary School (in Savannah), students learn about trash in a landfill. Credit: Carla Curran. 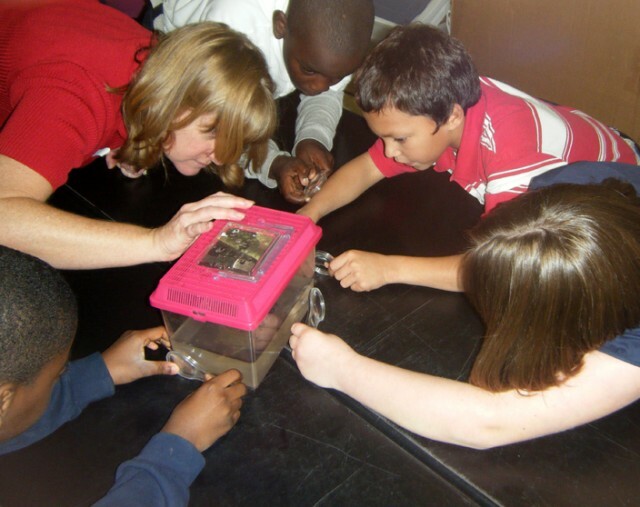 Marine scientist Carla Curran is passionate about working with students of all ages, such as these fourth graders at Thunderbolt Elementary School in Savannah. Credit: Whitney Ince.